If you can identify the item shown in the images above, please submit your response as a comment using the comment button below. I don't recall there being an inert version with the coil spring body but that doesn't mean there wasn't. One practice version of these models had a solid body with vent holes I believe. Other versions had a parachute. I agree, it looks like a 20lb frag bomb. I have worked in Ohio at FUDS sites and have run across lots of these. Watch the fuze on it because they had a tendency of going off prematurely. I have never seen an inert version either. 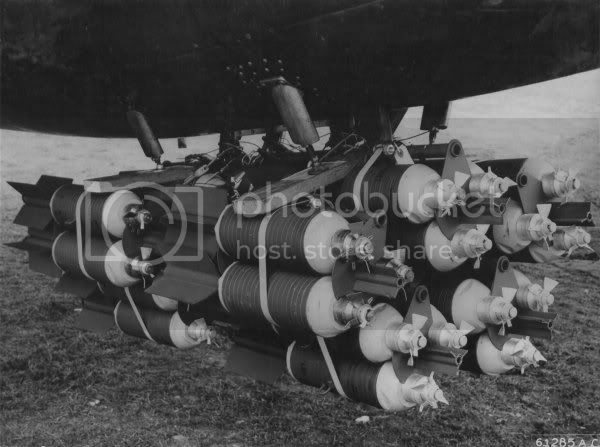 These were most often packaged in lots of 6 so there may be more around if they did not detonate. Submunition Dispense by air (Fixed Fin Assy), Frag mentation ( serated body), Fuze (Mechanical ?) coz of the protruding object at the nose area.even if inert or live, RSP all items found, be considered live...all safety precautions pertaining to this type of sub-munition be applied, thank you. 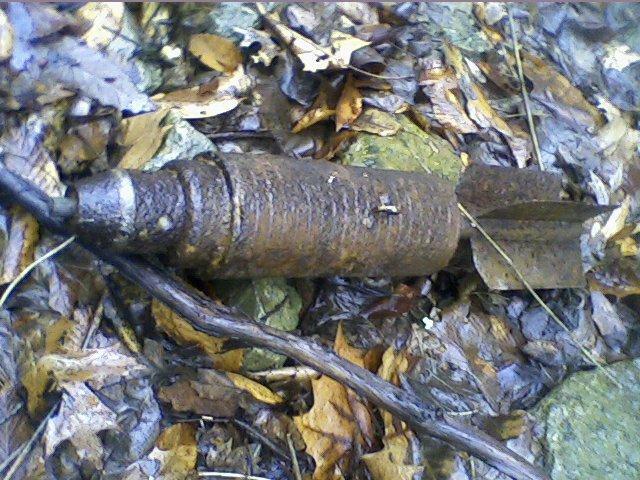 Sorry, for the earlier comment....it is a 20 lb frag bomb....thanks to a members link in ORD DATA...I have seen the LIGHT!!! Amen and thanks again.